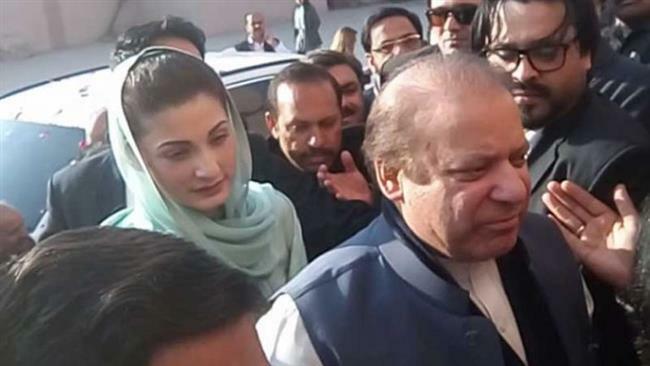 Pakistan - A Pakistani court today adjourned until last week of July the hearing of appeals filed by jailed former premier Nawaz Sharif, his daughter and son-in-law against their conviction in a corruption case, shattering their hope to come out of jail before polls to boost the campaign of their party. Elections are scheduled to be held on July 25 and 68-year-old Sharif’s Pakistan Muslim League-Nawaz (PML-N) party was banking on his early release to boost its election prospects. Sharif, his daughter Maryam and son-in-law Capt (retd.) Muhammad Safdar had yesterday filed the appeals in the Islamabad High Court challenging the verdict in the Avenfield corruption case. A two-member bench of Justice Mohsin Akhtar Kayani and Justice Miangul Hassan Aurangzeb heard the appeals and issued notices to the National Accountability Bureau (NAB) and also ordered to present the record of the case. The bench adjourned the hearing till last week of July which effectively means that hearing will be held after July 25 which will be observed as holiday to let people cast votes. The court also refused to suspend the conviction in the case until the appeals were decided. Earlier, Sharif’s confidante and PML-N leader Pervaiz Rashid urged the court to decide the appeals without wasting any time. “We want that the appeal should be decided as quickly as the trial was held,” he said. Sharif was sentenced to 10 years and one year sentence, Maryam seven years and one year and Safdar to one year rigorous sentences on July 6. The sentence of each convict will run concurrently. The three were sentenced in the Avenfield corruption case which is about illegal properties in a posh area of London. Sharif’s lawyer Khawaja Haris filed his appeal while Amjad Pervez filed appeals of Maryam and of his spouse. All the three are presently lodged in the Adiala Jail, Rawalpindi. Haris also moved another application on behalf of Sharif to suspend his sentence until the appeals against conviction was decided by the IHC.